Beyond mass transit, a handful of Easy Rider companies can provide transport to Hoi An by way of single- and multi-day trips from destinations like Hué and Da Lat. These tailored motorbike tours feature experienced drivers/guides and stop at several attractions en route to Hoi An, such as Lang Co Beach and the scenic Hai Van Pass. When it comes to booking accommodation, you’re better off staying close to Hoi An’s Old Town, the picturesque, yellow-hued neighbourhood overlooking the Thu Bon River. This is where you’ll find most of the area’s sights and shopping, making it easiest to opt for accommodation at least within cycling distance. Hotels within the Old Town itself can be a bit harder to find and are certainly more expensive, however if you search for lodgings near the outskirts of the neighbourhood, you’ll find a wealth of comfortable, quality options that are both conveniently located and reasonably priced. 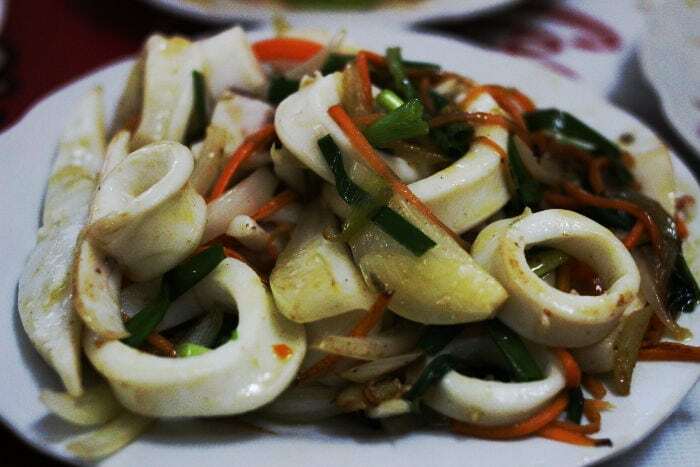 If you’re on a shoestring budget, however, the cheapest options lie north of the Old Town around Tran Cao Van and Ba Trieu Streets. This area is a bit further from downtown Hoi An but still remains only a bicycle ride away, while accommodations further along the Cua Dai beach road put travellers closer to the sea than the shopping and, given Cua Dai’s increasing erosion, you’re better off basing yourself nearer to Hoi An’s attractions than the coast. For a solid midrange option, Vaia Boutique Hotel sits at the top of the Cua Dai beach road close to the Old Town and offers comfy beds, generous breakfasts, and free bicycle rentals for guests, along with a helpful staff that can point you in the right direction when it comes to food, sights, and shopping. Click here to read our recommendations for booking your hotel in Hoi An. The best time to visit Hoi An is during its dry season, between March and August. In the summer, weather in Hoi An becomes sweltering hot in June, July, and August, when temperatures can climb north of 30 degrees Celsius. Floods put the Old Town under water in October and November and frequent storms plague the area through the later months of the year. If you’re visiting in the midst of rainy season, it’s wise to check the weather ahead of time, as rising water levels can affect the accessibility of certain sights in the downtown area. Hoi An’s Old Town is easily walkable and free of motorized vehicles throughout most of the day, save for a quick break during lunch hour. For short distances, you’re best to travel on foot around the downtown area. For longer journeys – to the beach, for example, or out to one of the nearby villages – bicycles are the way to go, allowing you to take your own transportation without getting behind the motorized wheel in Vietnam’s hectic traffic. Scores of rental shops in Hoi An provide bicycles at low daily rates, while some hotels provide bicycle use to guests free of charge. Motorbike rentals are also available as well as a handful of local taxi firms. Cobbled together from centuries of trade between Vietnamese, Japanese, Chinese and European merchants, Hoi An’s historic Old Town boasts a melange of cultural influences, from grand, colourful Chinese assembly halls to the sturdy, ornamental ancient houses of the riverfront neighbourhood. Get a feel for the port town during its heyday by purchasing a UNESCO ticket, which grants entry into six of the Old Town’s dozen or so protected sights. These include centuries-old houses constructed using traditional building techniques, historical and cultural museums, temples, Chinese congregation halls and Hoi An’s famed Japanese Bridge. While you’re free to choose whichever attractions you’d like, make the most of your ticket by visiting the Japanese Bridge as well as a museum, a congregation hall and an ancient house. This little town is known far and wide for its tailor-made clothing and accessories. In as little as 24 hours, everything from handbags to winter boots, evening gowns to three-piece suits can be fashioned in one of Hoi An’s many shops. Prices range from dirt cheap to high-end but so does the level of quality: for best results, get your tailoring started as soon as you arrive in Hoi An. This gives the shop plenty of time to make any additional alterations, if required. Beyond the few blocks on either side of the river, Hoi An’s surrounding area is best visited by bicycle. Rentals are easy to come by throughout the neighbourhood north of the Old Town and along the Cua Dai beach road; some hotels even offer them to guests free of charge. With your own vehicle, you’re free to chart a course for the sea, exploring rice paddies and river scenes along the way, as well as sights like the Tra Que Vegetable Village, a small community south of An Bang Beach that’s been growing leafy greens for generations, In Thanh Ha Pottery Village west of town, locals make their own creations from brick-red clay. 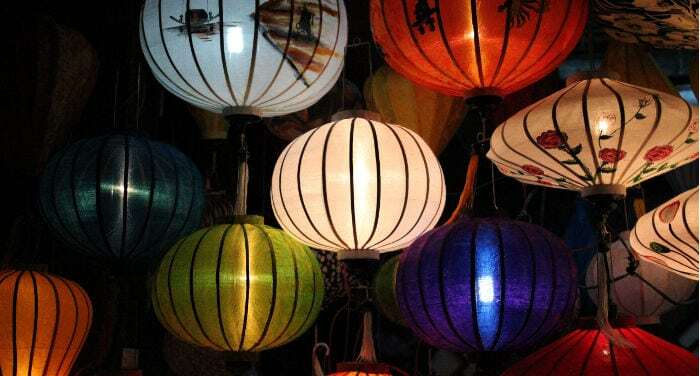 Along Nguyen Tat Thanh Street, you’ll also find the Hoi An Silk Village. Though it’s not technically a village – the complex is a tourist attraction – the silk village doesn’t seem to see too many visitors at one time, and its guides provide a fascinating look into the actual production of the silk you’ll find hanging in shops throughout Hoi An. If a little R&R is in order, head to An Bang Beach just north of the Old Town. This sandy spot has managed to avoid the fate of its southern neighbour, Cua Dai, at least for the moment: instead of sandbags, An Bang is full of sun chairs for hire and small shops selling food and drinks. While the area can fill up a bit during the day, this beach never gets too busy so you’ll have plenty of space to spread out and while away an afternoon. Overlooking the shoreline between Hoi An and Da Nang are the Marble Mountains. Named after the five elements – earth, fire, water, metal, and wood – these limestone karsts shoot straight out of the ground to provide a breezy, high vantage point from which to take in the surrounding area. The most famous of the mountains is packed with caves bearing Buddhist altars and statues as well as a few pagodas. Down on the ground, you’ll also find scores of shops selling marble statues; their materials are said to come from the mountains themselves, however the sheer volume of marble statues on offer these days would suggest that at least some of it is coming from elsewhere. While tourists aren’t quite as enamoured by Hoi An’s neighbour to the north, Da Nang is a clean, organized, and modern city whose local beach, My Khe, would not be out of place in Miami or southern California. Just beyond the shore, Son Tra peninsula boasts a towering, white statue of the Buddhist bodhisattva Quan Am, also known as the Goddess of Mercy, however if you take a turn into town you’ll also find a lively market and the city’s famed Dragon Bridge, which is shaped like – you guessed it – a dragon. A couple hours south of Hoi An lie the remains of My Son, a religious site leftover from the medieval kingdom of Champa, which once ruled large swaths of central and southern Vietnam. While centuries of wear and tear – not to mention the weaponry of the American War – have left several of these structures in rough shape, the UNESCO-protected temple complex provides a fascinating glimpse into the history of Vietnam’s central coast. If you have the opportunity, it’s recommended that you pay a visit to Da Nang’s Museum of Cham Sculpture before you go, as this venue houses the most well-preserved versions of the Cham’s intricate and impressive sculpture. Hoi An has no shortage of culinary specialties, many of which are found exclusively in this sleepy, riverside town. Cao lau, a hearty noodle dish, is comprised of pork and fresh greens as well as a special, tan-hued noodle that’s thick and chewy. Hoanh thanh chien, or fried wontons, are another local treat topped with tasty, fresh-cut veggies and sauce, while banh bao banh bac, also known as white rose dumplings, are hot, steamed morsels of shrimp and pork wrapped in a rice flour casing. You can find most of these dishes at the local market as well as throughout the Old Town. 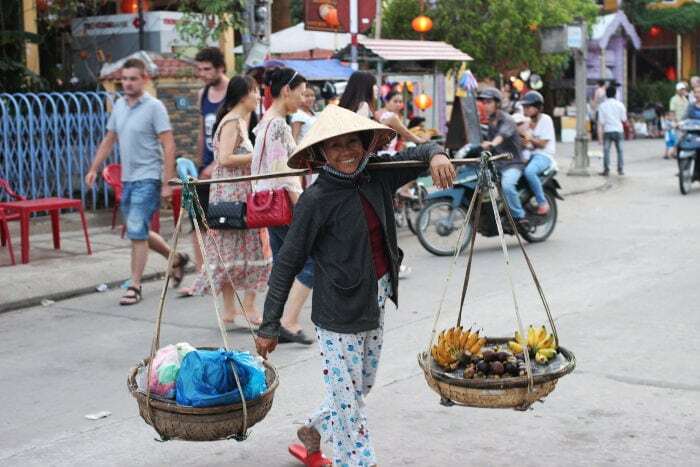 Beyond the market’s busy stalls, Hoi An’s riverside neighbourhood boasts a plethora of restaurants serving both local and international fare. If you’re keen to go local, the folks at Ba Le Well are open for lunch and dinner and prepare a range of Vietnamese dishes, from local specialties like cao lau to banh xeo, or savory Vietnamese pancakes. Seating is street-side and, most evenings, the spot draws a lively crowd. For a more upscale version of local cuisine, Morning Glory is a favourite among travellers for its location and menu of traditional Vietnamese dishes. The restaurant staff prepare a range of Hoi An culinary specialties as well as more mainstream Vietnamese favourites, and there is ample seating throughout this spacious Old Town house. Ms. Vy, the owner of Morning Glory, also runs regular cooking classes for those who wish to try their hand at preparing Vietnamese fare. Mango Rooms fuses local ingredients with modern culinary innovation in a vibrant, colourful venue on the riverfront. This spot – and its colossal sister restaurant across the water, Mango Mango – are both excellent options for those who seek a less traditional menu without giving up the area’s delightfully fresh local produce. Drinks here are also a hit, with a range of handcrafted original cocktails. If you find yourself in need of a western-style meal, Cargo Club shines not only in its delivery of high-quality, international dining but also in its excellent array of desserts on offer. From morning to night, this thriving downtown spot is your go-to for fresh pastries, gourmet sandwiches, hearty mains, and delectable desserts. When you’re ready to head to another destination, Da Nang is again a great hub from which to access the rest of Vietnam or head abroad. Air, rail and bus options abound here, and most hotels can arrange transfer to Da Nang transportation hubs. Dana Filek-Gibson is a travel writer and editor based in Saigon, Vietnam. She is the author of full-length travel guidebook Moon Vietnam as well as the editor of Saigoneer, a local culture and lifestyle website.